← Cold, Clooney, Culture, and Cheese. I hate to blog with my mouth full. You may or may not have noticed that this blog has been pretty quiet this week. My homie from Houston has been here, and we have been busy, busy, busy. Yep. One week-long feeding frenzy, my friends, with lots of wine to wash it all down. The crepes were at one of Paris’ favorite creperies, Breizh Cafe, in the Marais. The soup, beef cheeks, cheese and panne cotta were from our personal favorite, Les Papilles. 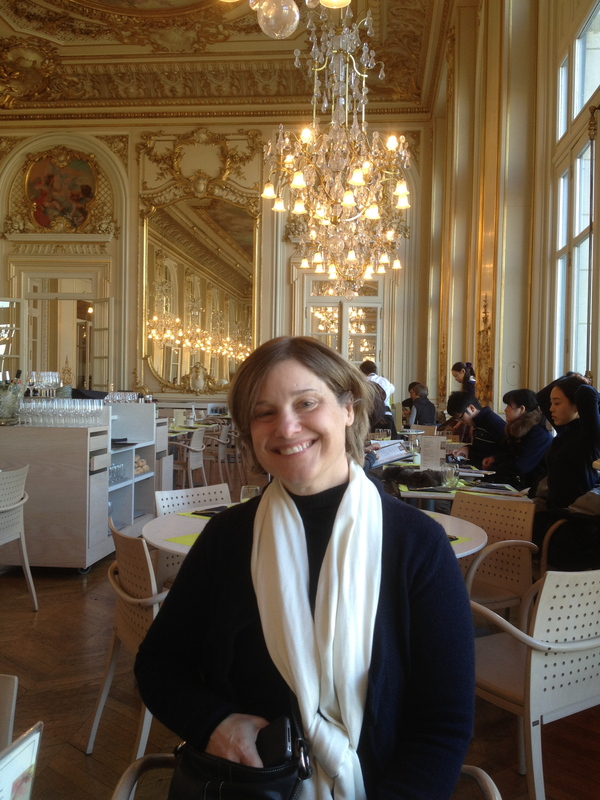 The hot chocolate was enjoyed at Cafe de Flore, The veal and rice pudding were at Le Comptoir du Relais. 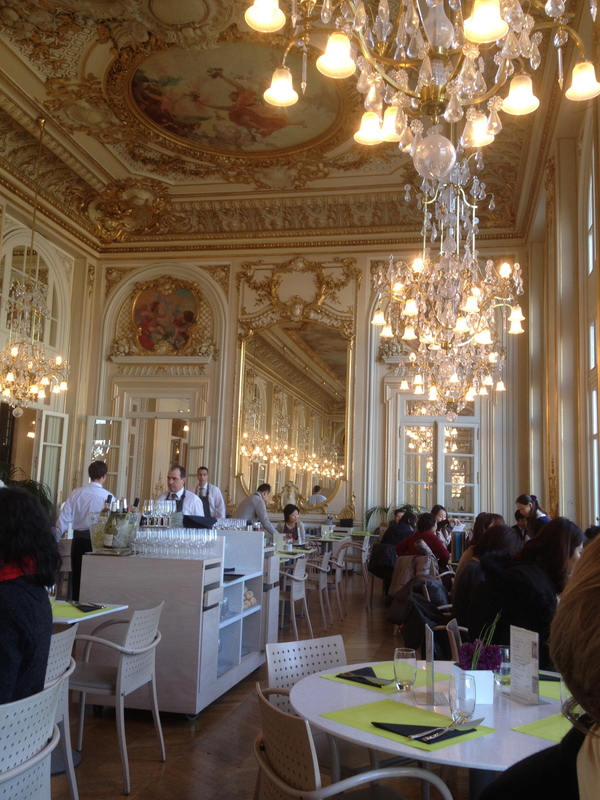 Today’s feast , the penne and lime souffle, were served at the lovely restaurant at Musee d’Orsay. Here are a few more pictures. We have done a few things in between meals and hot chocolate breaks, but those will have to wait for another day. 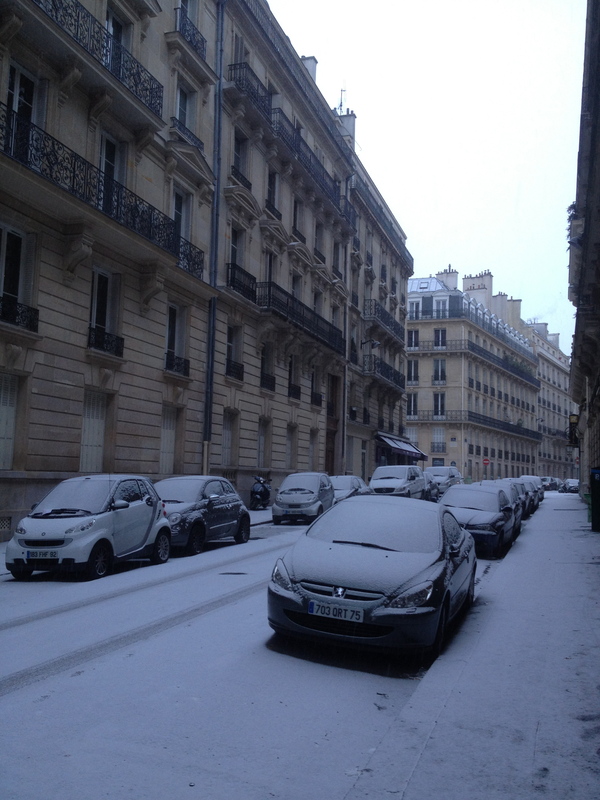 In the meantime, did I mention that it has been incredibly cold here? 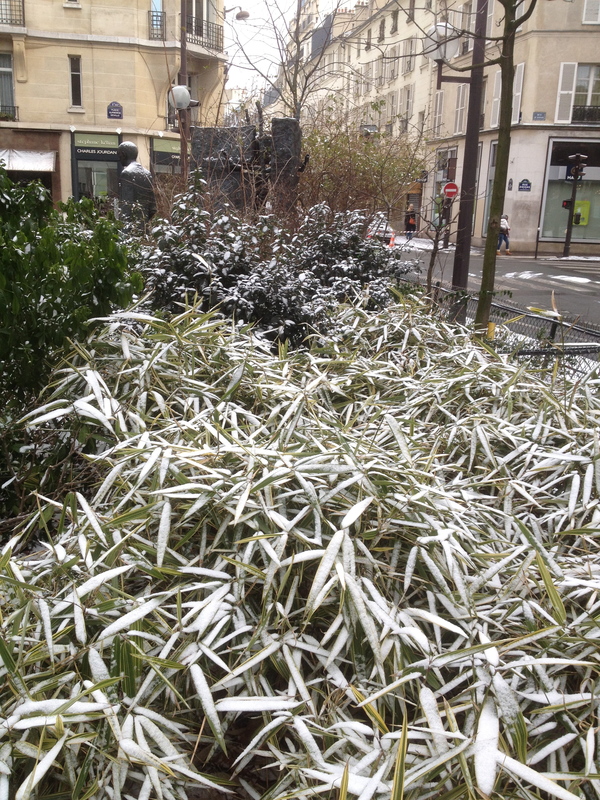 In fact, did I mention that it snowed here for several hours on Sunday? It didn’t last long, but it was lovely. Soon I will show you what we have done to occupy our time in between feedings, but now I need to go rest up for tomorrow’s lunch at the Eiffel Tower. Power eating isn’t easy, my friends! P.S.- I cannot seem to put pictures in a slideshow and then add pictures later in the post without those later pictures being added to the slideshow. That is why you are seeing them twice, and why some of them don’t seem to fit with the “food” theme in the slideshow. If anyone out there knows WordPress and can help me with this, I would be eternally grateful! I’ve missed reading your blog but am glad to hear that you’ve been having fun with your friend! Well obviously that rule doesn’t apply when friends are visiting!!!! It wouldn’t be polite to let them drink alone, you know. You need to pace yourself for my arrival next week! hehehe I’ve got my eye on that sweet potato soup! As delicious as Italian food is, there is not a lot of variety here. Can’t wait to hang out with you! I may or may not have just licked my iPad. Oh, to be there with you two! Please eat an onion tarte for me!! I am betting I see Martha running in the ‘hood a LOT when she gets back! I am reading this 1 hour before lunch time. This makes me very hungry! Maybe lunch should be NOW!! Kate, I love reading your Paris update first thing in the morning. It makes my day. What a treat to see Martha! Can’t wait for the next installment. Thank you so much, Rana!